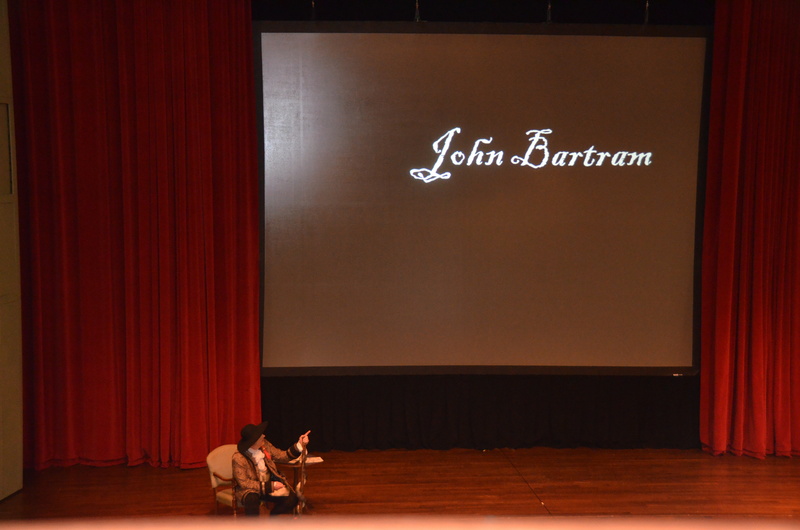 John Bartram Travels « John Bartram Lives! I love traveling. You might be able to tell from the illustrations on all of these pages. I especially enjoy traveling back to North Carolina. My step-brother lived on a plantation near Wilmington. 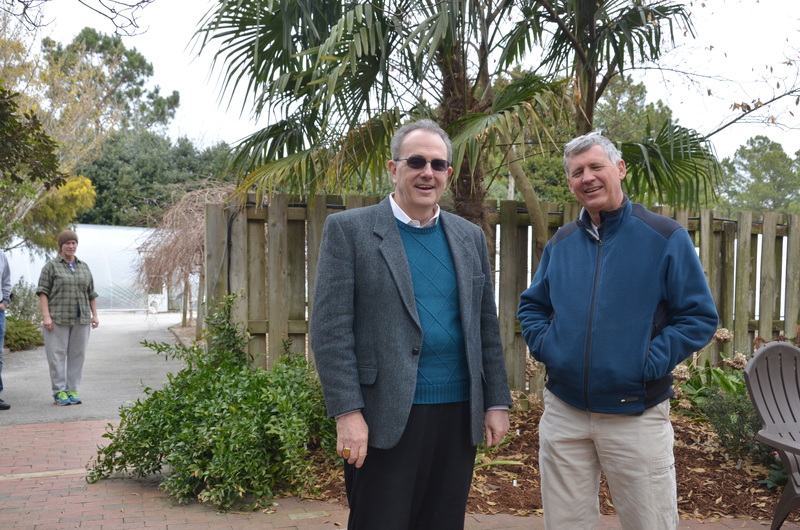 Kirk R. Brown and Tony Avent touring Plants Delight and Juniper Level Botanic Garden. These days it’s much easier to get to towns and cities more interior to my previous coastal travels. Raleigh is a prime example of a new city rich placed strategically on a confluence of roads and rivers. It is also a horticultural hotbed. 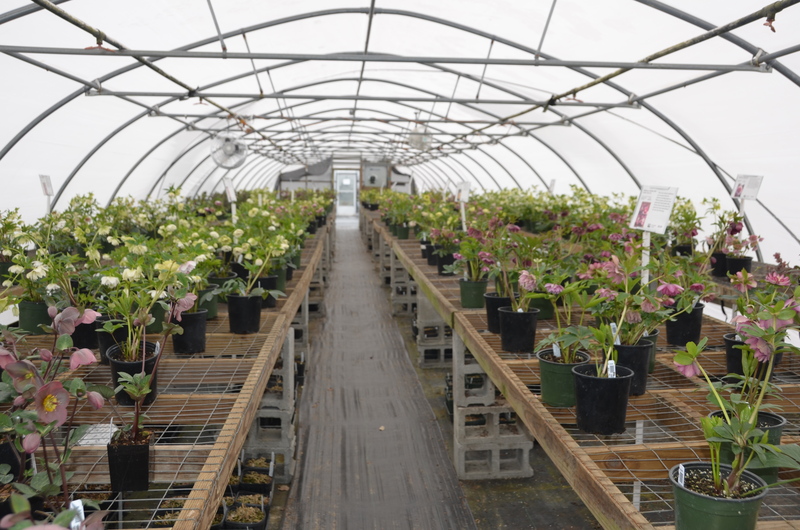 Hellebores were in season at Plants Delight. Lovely to touch; impossible to leave without purchase. I recently visited the nursery and botanic garden of one of the country’s premiere horticultural professionals. Plants Delight is just that: a place where horticulture is displayed and priced to entice the most jaded of plant collectors. The attached display grounds are known as Juniper Level Botanic Garden. Shipping and receiving at Plant Delights Nursery is very reminiscent of my own shipping operation at Bartram’s Garden. 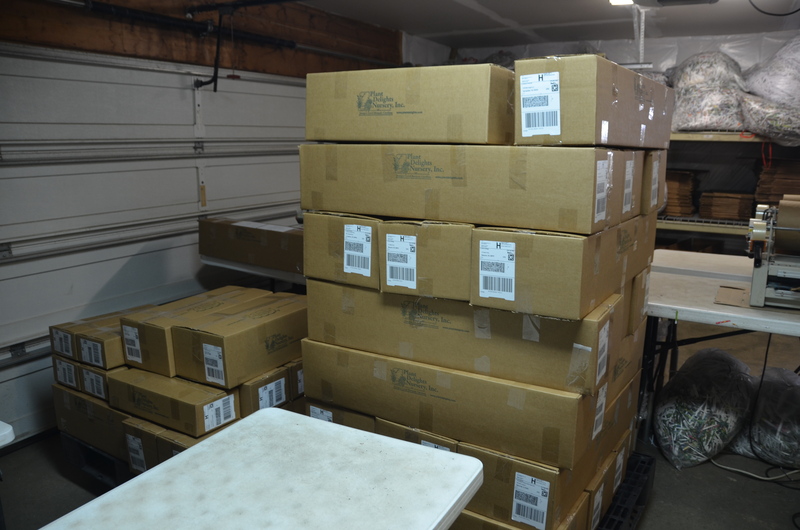 Big difference: corrugated cardboard, Styrofoam peanuts and plastic wrapping material. 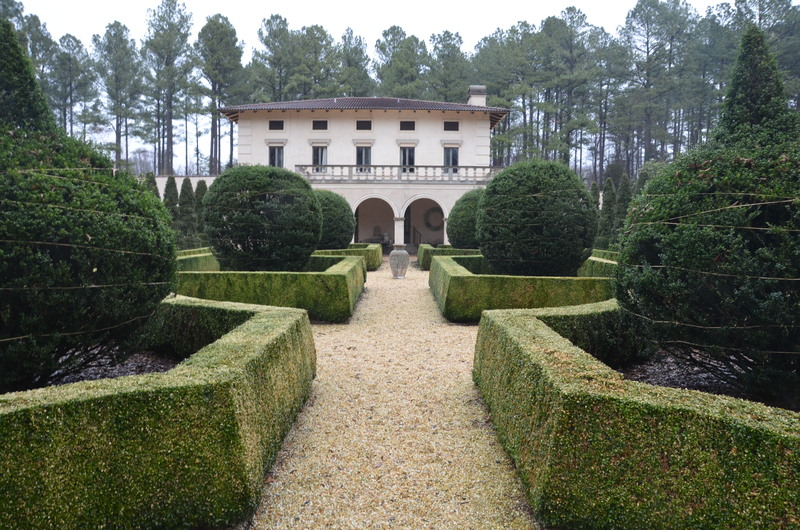 These gardens are tended by plantsman extraordinaire, Tony Avent. He is a gentleman and a rabid Hortistician. He was a gracious host to my amanuensis and his traveling wife. If you are in the neighborhood it will be good for your soul to stop and touch the merchandise. 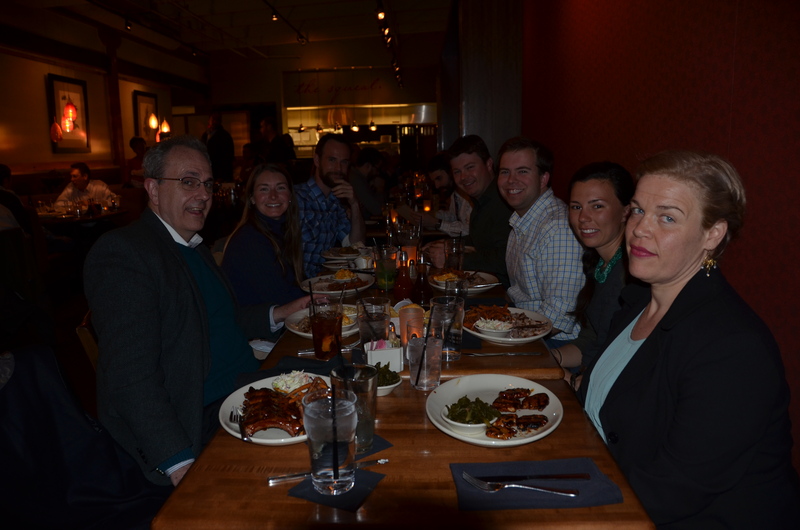 Around the table: Kirk R. Brown, Brienne Gluvna Arthur, Jared Barnes, Lizzi Lathers, Erin Weston. Enjoying the best barbecue in the south! While still in Raleigh, I also made contact with a new generation of professional plants people. Dinner with them was both entertaining and educational. I know that I shall reflect on the experience for many a future experience with people younger than 100 years old. 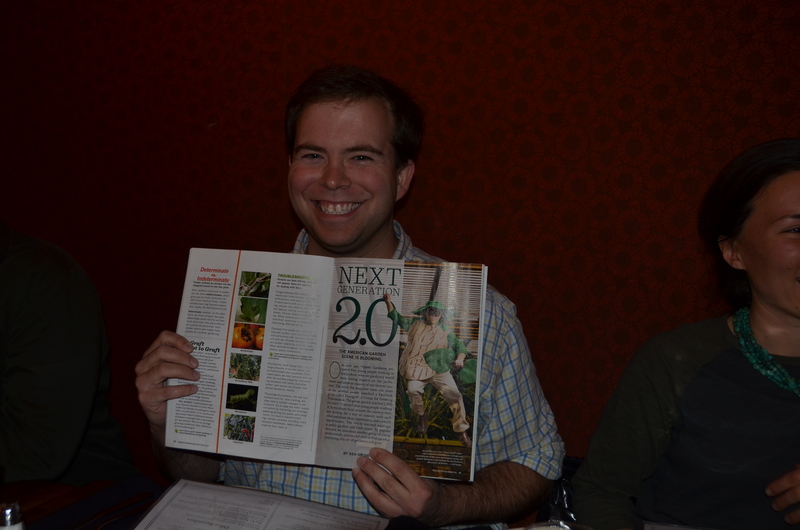 Dr. Jared Barnes was introduced to his alter ego in the latest edition of Organic Gardening. He was named one of the horticulture’s rising star by Ken Druse. 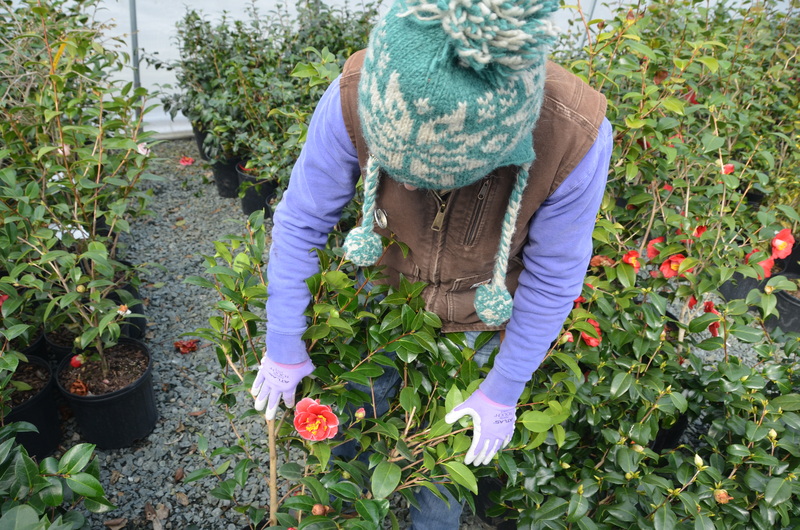 Brienne Gluvna Arthur working at Camellia Forest Nursery. Brienne Gluvna Arthur, Dr. Jared Barnes, Erin L. Weston and Lizzi Lathers are in a group of rising stars of horticulture and should be watched…closely, carefully, and regularly…to see how their rooting is coming. 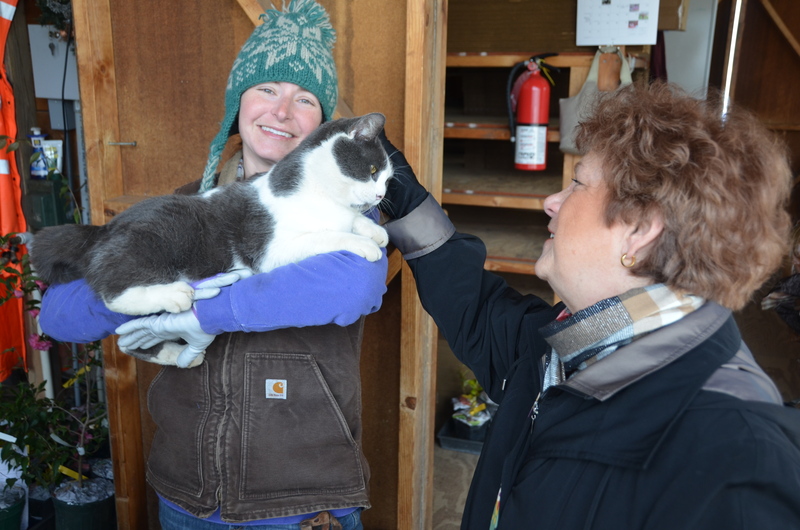 Brienne Gluvna Arthur holding Cubby while Sara E. Stine Brown looks on with the envy only a cat person could have. 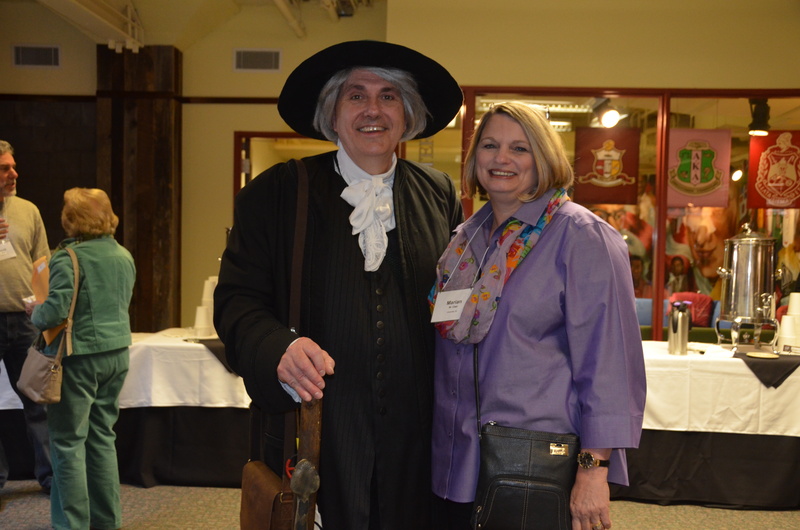 John Bartram at the Davidson Horticultural Symposium, 2014. It’s All About the Plants. Celebrating 30 years of educational horticulture. During the 30th anniversary of this fabled gathering, the committee decided to literally go back to its roots and be all about the plants. Their speaker roster includes a Who’s Who of the most famous horticultural speakers, writers, plant hunters, photographers, growers, scientists, horticulturists, designers and artists known to the industry. 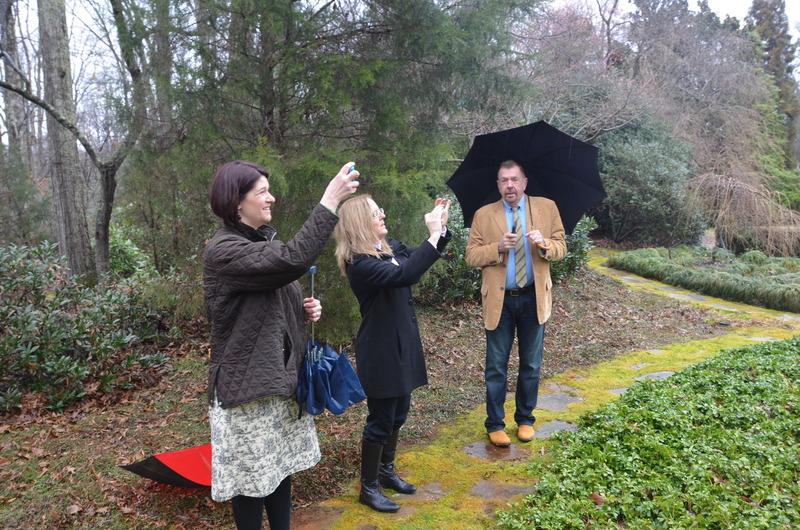 Paula Gross, Holly Shimizu and David Culp photographing gardens in the rain. True dedication. Beautiful lighting. For this season’s special program, they returned to the reason that we garden: for the joy and inspiration we feel when observing the subtleties of form, color, touch, fragrance, and history of the plants. 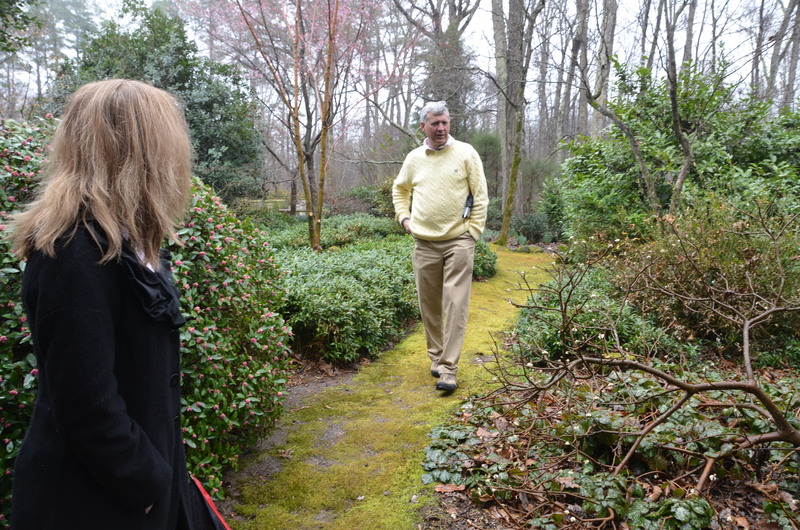 Holly Shimizu, US Botanic Garden, and Tony Avent, Plant Delights Nursery/Juniper Level Botanic Garden, garden touring in Davidson North Carolina. And then they asked me to deliver the keynote address. I could not have been more honored, thrilled or astounded to be included. It was an horticultural blessing. The tribes gathered in Davidson North Carolina. 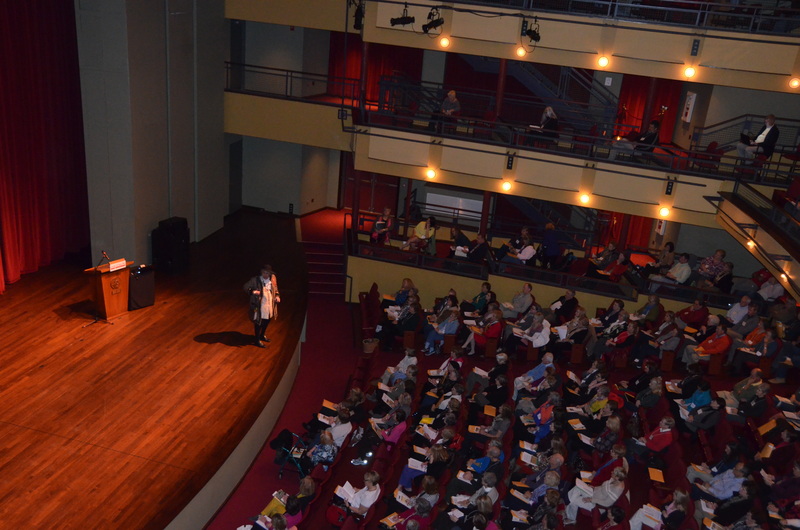 It was held in the Knobloch Campus Center of Davidson College. The program was sold out. 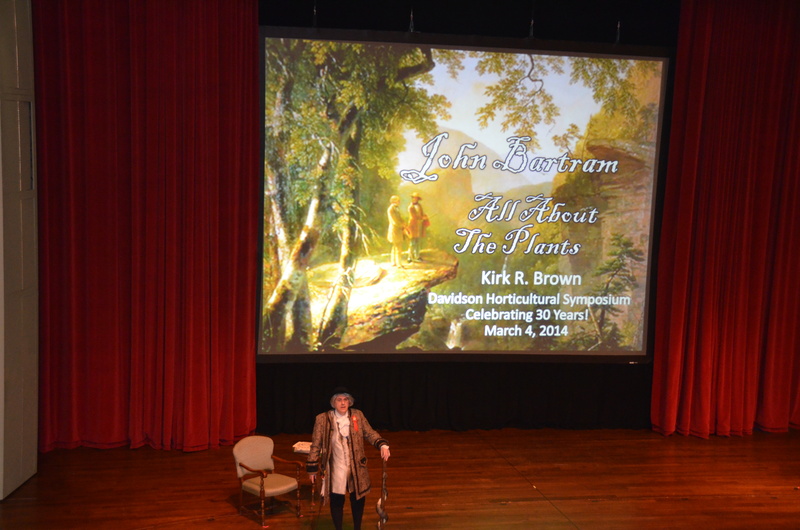 John Bartram was the opening Keynote Speaker at the Davidson Horticultural Symposium: It’s All About the Plants. 2014. The other speakers chosen for this auspicious day included David Culp on tour with his book The Layered Garden. Holly Shimizu, Executive Director of the US Botanic Garden, spoke of the history of that illustrious institution and the many collections that it houses. Paula Gross, UNC Charlotte Botanical Gardens, delivered the design lecture of the day basing her presentation on a Southwestern Plantswoman’s Favorites. The program closer was Tony Avent, owner and raconteur from Plants Delight Nursery and Juniper Level Botanical Gardens in Raleigh, North Carolina. The Zimmerman house was an authentic recreation of a Renaissance Florentine Villa. Magnificent dedication to the art of architecture married to landscape. We five speakers were treated to lunch by the occupants of an Italian Renaissance Florentine villa. 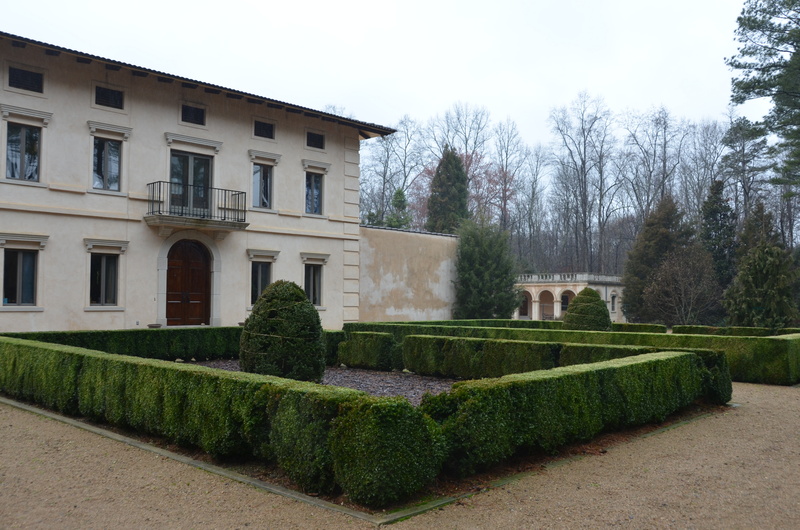 The Renaissance forecourt gave obvious views to the house but allowed for its defense in times of siege. For the event we were seemingly transported to the countryside surrounding that ancient and famous city for the sheer delight of the possibility. 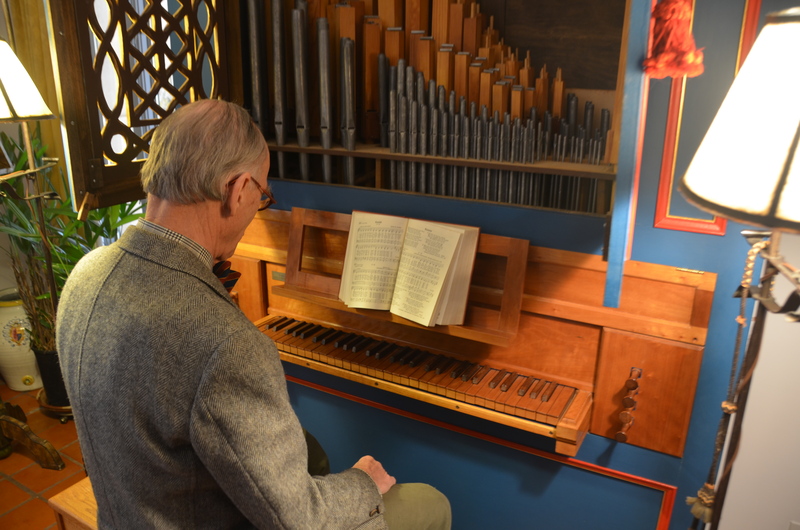 A recreated Renaissance pipe organ. The sound was ethereal. The lord of the manor pleased our desires and played his authentic 16th Century bellows pipe organ. It was a meal and an occasion that blissfully blended the centuries and the stories. Fiction is never the equal to fact. We raised a toast in a recreated southern-style barn. 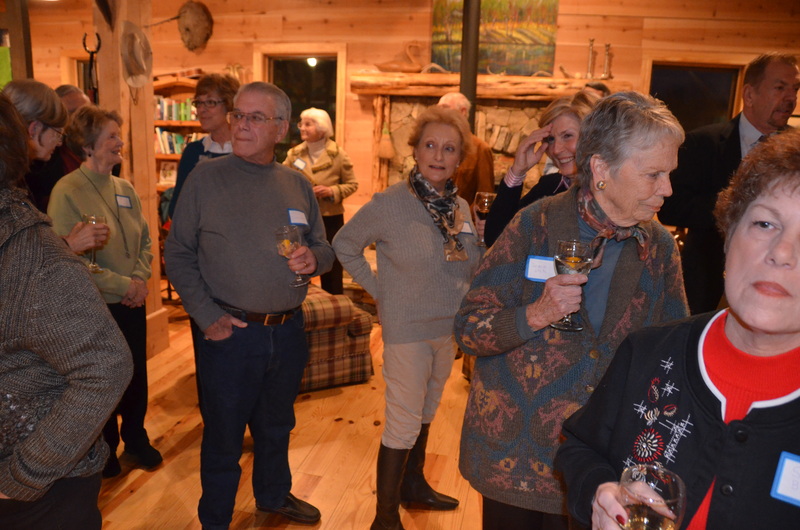 It was the perfect evening before the Davidson Horticultural Symposium. 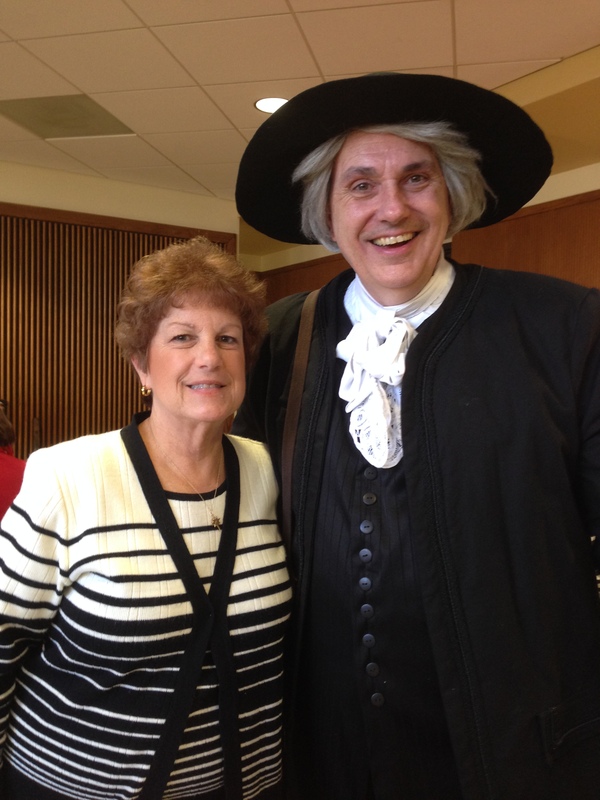 John Bartram was joined by Sara E. Stine Brown at lunch during the Davidson Symposium. Kirk Brown was just out of the picture frame. There was time between speakers to enjoy networking in a gathering space outside of the hall. Here John Bartram is joined by Marian St Clair from Greenville South Carolina. On the evening prior to the event, our hosts gathered at a celebratory dinner in a great hall of communal proportions. The networking was outstanding. I was feted, wined and dined in great style and superior harmony. 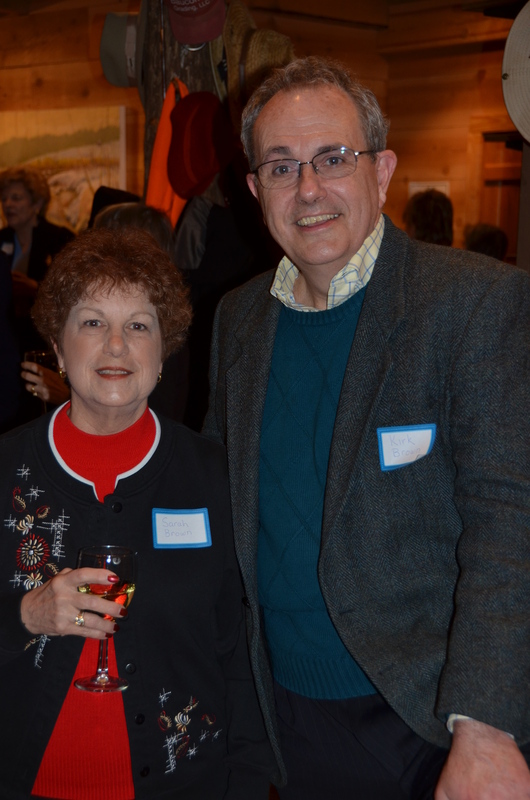 I caught Kirk Brown with his wife in this picture from the evening’s gathering in the woodland barn. We all had an amazing time at the Davidson Horticultural Symposium. On the day of the lectures, the crowds gathered in the lobby during recesses in order to participate in networking opportunities and purchase much-in-demand books. The stellar opportunity also existed to partake in delicious foods and flavors native to the region. And, as always, plants were offered for sale!